Two individual 1.5G streams multiplexed into a single 3G stream. All 4 channels available to both SDI output embedders, which can embed 8 channels into any two groups (selectable). 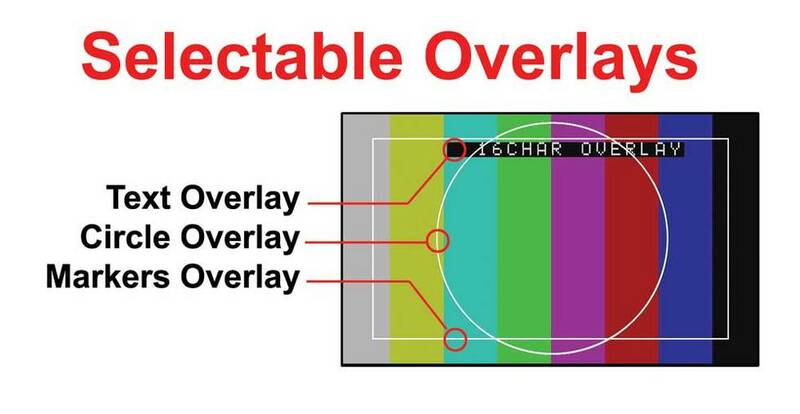 Each SDI Embedder can be configured independently with different groups and channel assignments. 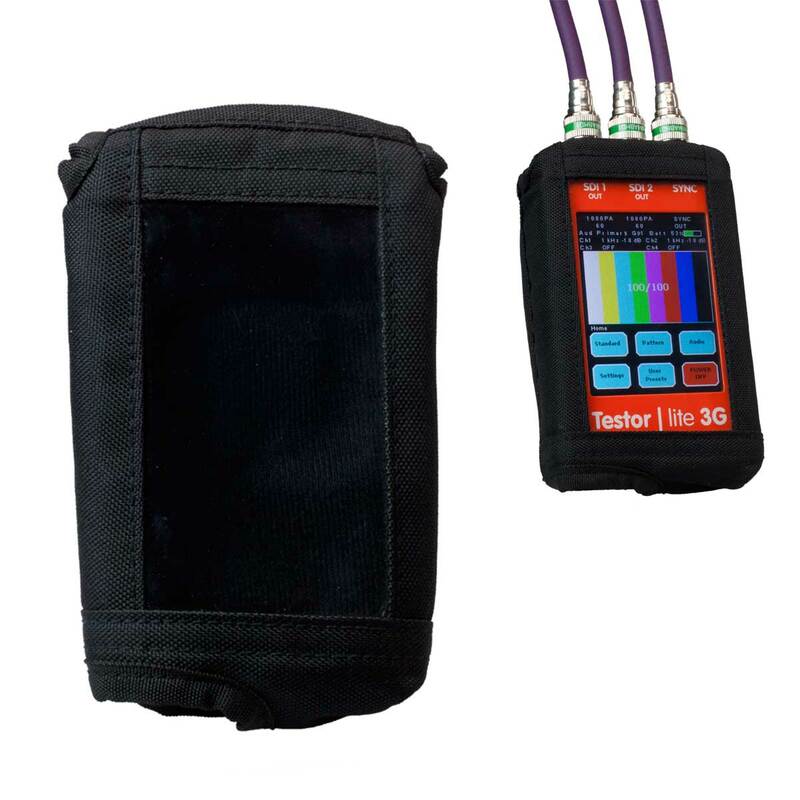 Note: When SMPTE 525 dual stream or dual link mode is used, audio is embedded into both streams. 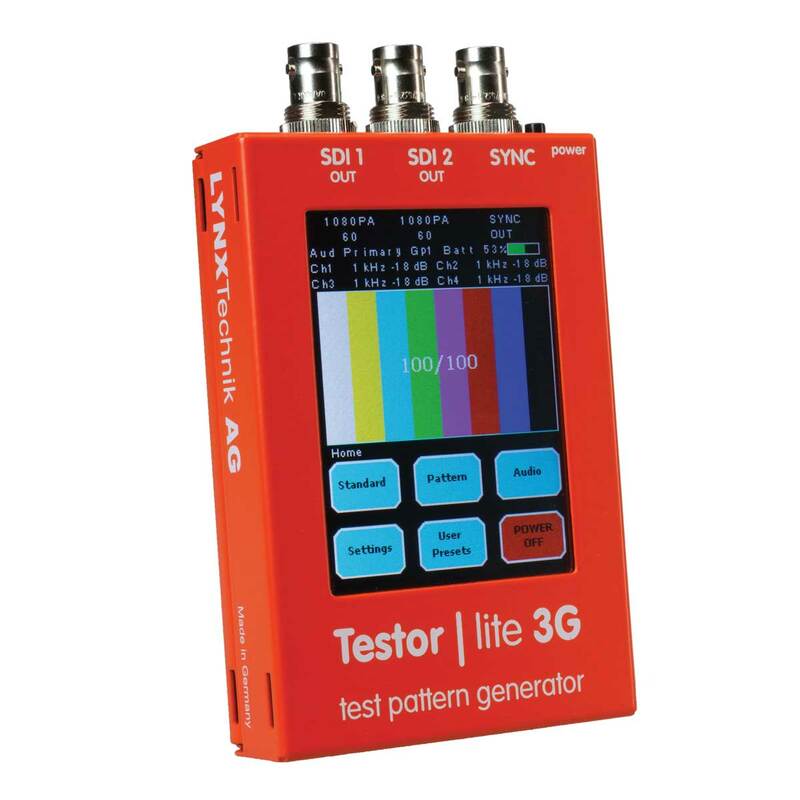 Testor | lite 3G is a compact SDI video and audio test generator designed to address a multitude of test and verification needs in modern digital infrastructures. The large color touch-screen provides a simple, intuitive user interface and the integrated rechargeable battery will provide for up to 4 hours of continuous use. PTG CASE – Cloth protective case, with window for display viewing and operation. Includes belt clip. NOTE: Testor lite is not designed for frequent battery exchanges using a spare charged battery. Only exchange battery when installed unit has depleted. Some disassembly is required. 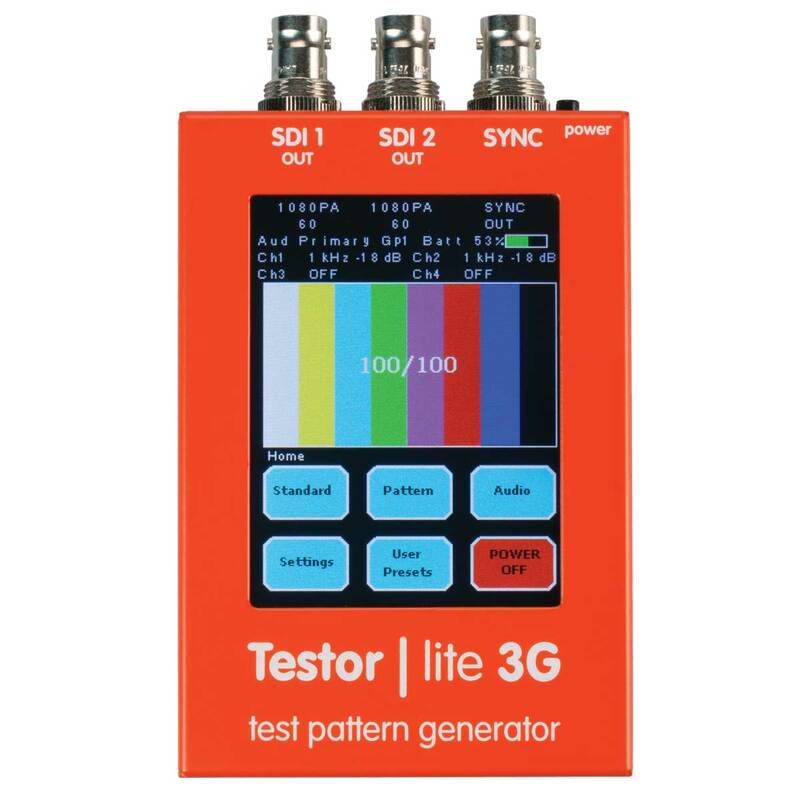 The Testor Lite 3G includes the EBU AV Sync Pattern. 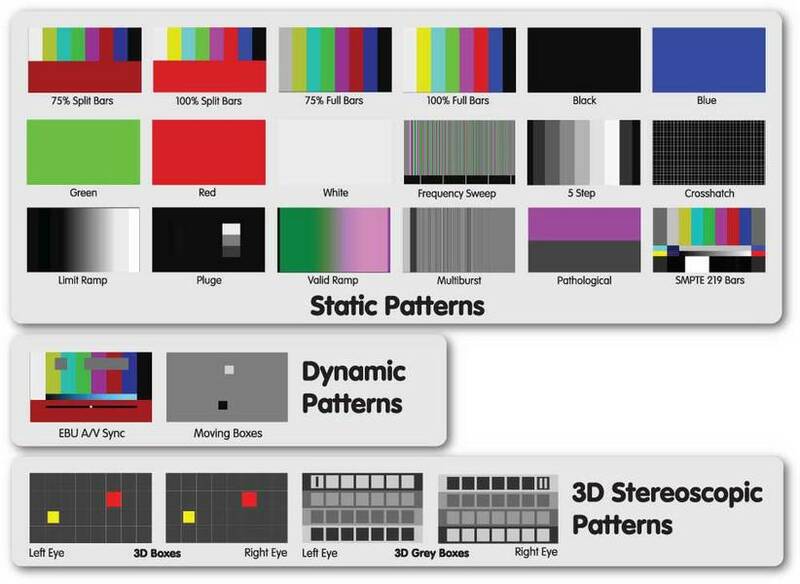 This is a dynamic (moving) pattern which can be used for a host of video and audio verification uses including audio / video timing (lip sync) Please click here to find out more about this pattern.